Judge Painter has a well-deserved reputation for legal scholarship. More of his decisions have been published in the national law book than just about any judge in the state. 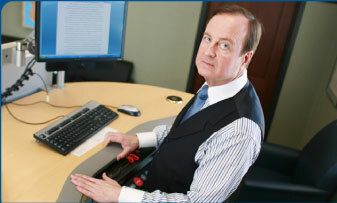 Generally, only cases with important legal issues are published. The others are available in electronic form. (Thompson/West) 1988, 2nd ed. 1990, 3rd ed. 1994, 4th ed. 1995, 5th ed. 1996, 6th ed. 1997, 7th ed. 1998, 8th ed. 1999, 9th ed. 2000, 10th ed. 2001, 11th ed. 2002, 12th ed. 2003, 13th ed. 2004, 14th ed. 2005, 15th ed. 2006, 16th ed., 2007, 17th ed. 2008; with Judge Jennifer Weiler, 18th ed. 2009. For more information on this book, click here. (Jarndyce & Jarndyce Press) 2002. For more information on this book, click here. (Jarndyce & Jarndyce Press) 2003. (Jarndyce & Jarndyce Press) 2005. (Jarndyce & Jarndyce Press) 2009. For more information on this book, click here. (Thompson/West), with Douglas R. Dennis, 2003, 2nd ed. 2004, 3rd ed. 2005, 4th ed. 2006, 5th ed. 2007-08;with Andrew Pollis, 6th ed. 2009. For more information on this book, click here. (Jarndyce & Jarndyce Press), 2004 For more information on this book, click here. 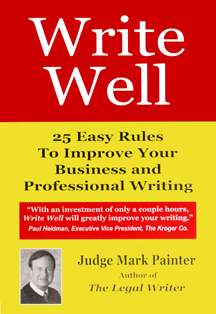 Write Well (Jarndyce & Jarndyce Press), 2007. For more information on this book, click here. 31. Appellate Practice in the New Century, Ohio Lawyers Weekly, Feb.7, 2000, at 4 O.L.W. 142. 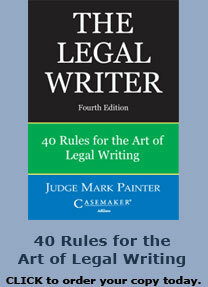 The Legal Writer No. 73, A Contract or a Novella? 3. The Law of Contempt of Court in Ohio, with Judge William F. Chinnock (2003), 34 U.Tol. The numbers and letters after the case name are the official legal citations, that is, where in the law volumes the particular case can be found. You may read the cases at any local law library. After “cited” are the other legal cases, textbooks, and law review articles that refer to Judge Painter’s case as precedent. Judge Painter’s decisions have been cited more that 2,000 times, and included in many legal textbooks.